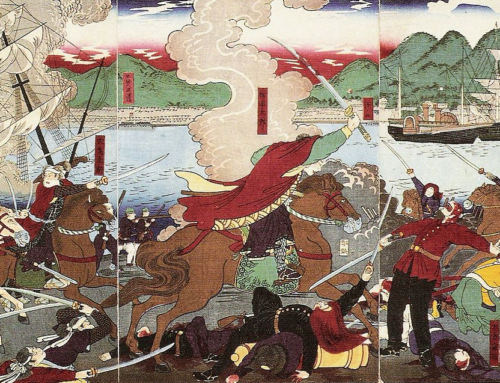 The Battle of Anegawa was fought in the wide, shallow waters of the River Ane that flows from east to west before meeting Lake Biwa north of Nagahama (Shiga Pref.) between the 28,000 combined forces of Oda Nobunaga and Tokugawa Ieyasu, against the joint 20,000 troops of Azai Nagamasa and Asakura Yoshikage. On July 30th, 1570, the waters of the gentle River Ane flowed red with the blood of over 3,000 samurai casualties. The Azai and the Oda had been enemies since at least 1564. Both had desired the lands of Mino (Gifu Prefecture) which lay directly between the Azai held lands in Omi (Shiga Prefecture) on the east side of the great Lake Biwa, and Oda’s lands at Owari (Aichi Prefecture). 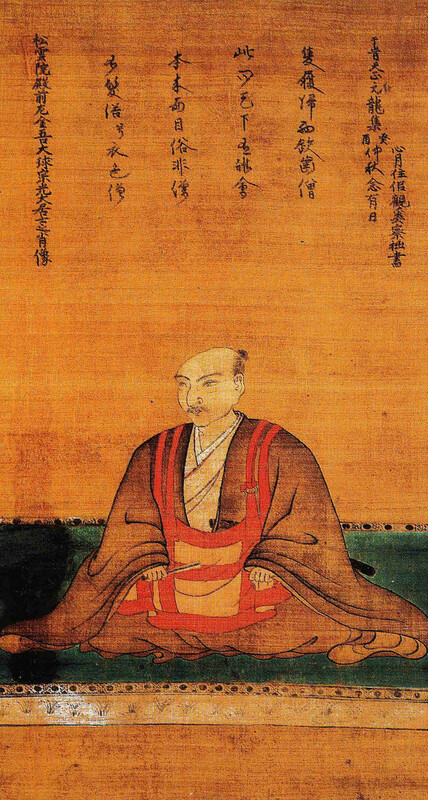 Nobunaga had been approached by the disposed 15th Shogun, Ashikaga Yoshiaki to assist in returning him to power. 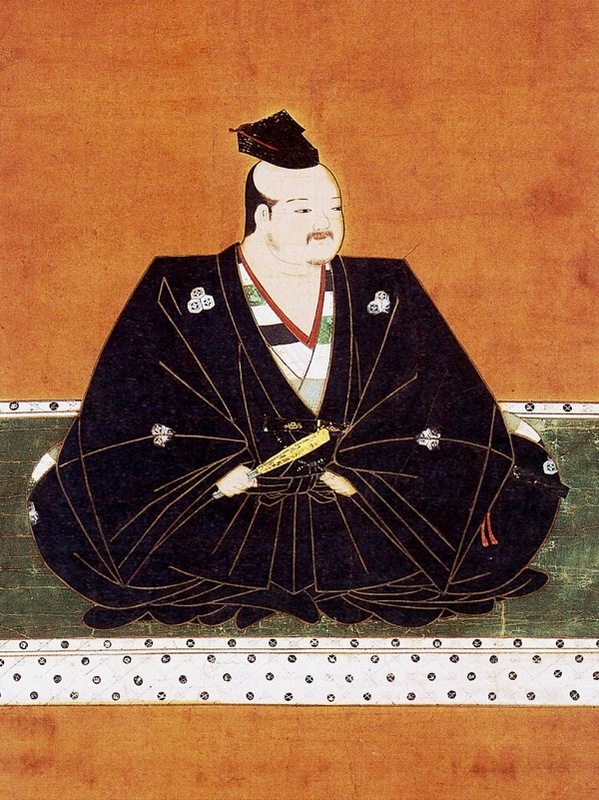 Yoshiaki had fled Kyoto when the 13th Shogun had been assassinated and a puppet regime established. 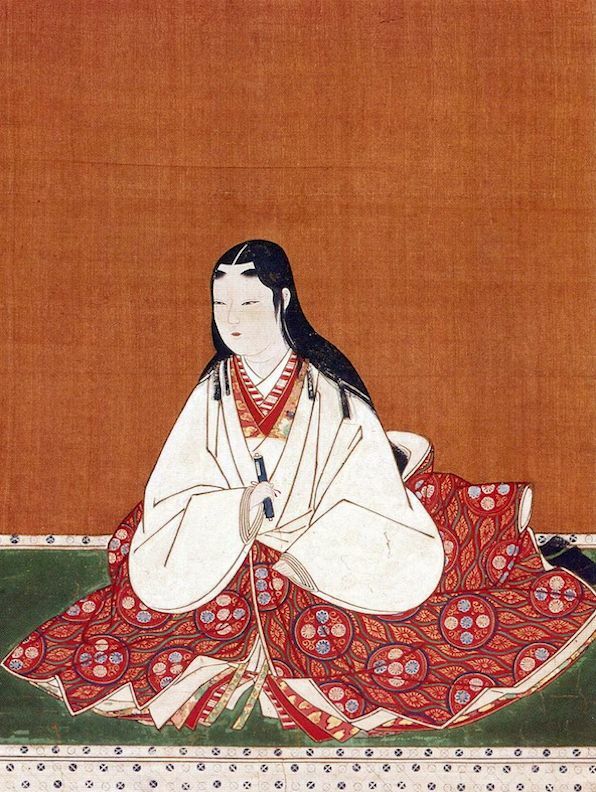 To quell any future opposition, Nobunaga had orchestrated the marriage of his sister, O-Ichi, considered a great beauty, to Azai Nagamasa. The marriage was a strategic ploy to protect his western front, while he concentrated on taking Kyoto, the route to which was made easier and simpler through the lands of his friendly brother-in-law. Nobunaga entered Kyoto in 1568 with the blessing of the real Shogun, and as the most powerful Daimyo. The western side of Lake Biwa, land known as Echizen, was ruled by the Asakura Clan under the very able Asakura Yoshikage. Prior to Nobunaga accepting the call to assist the former Shogun, the Ashikaga had approached Asakura, who had declined. The missed opportunity was accepted and completed by Nobunaga. Once the Shogun was re-established, Asakura was summoned to Kyoto. Believing this to be Nobunaga wanting to show his superiority, Asakura refused. 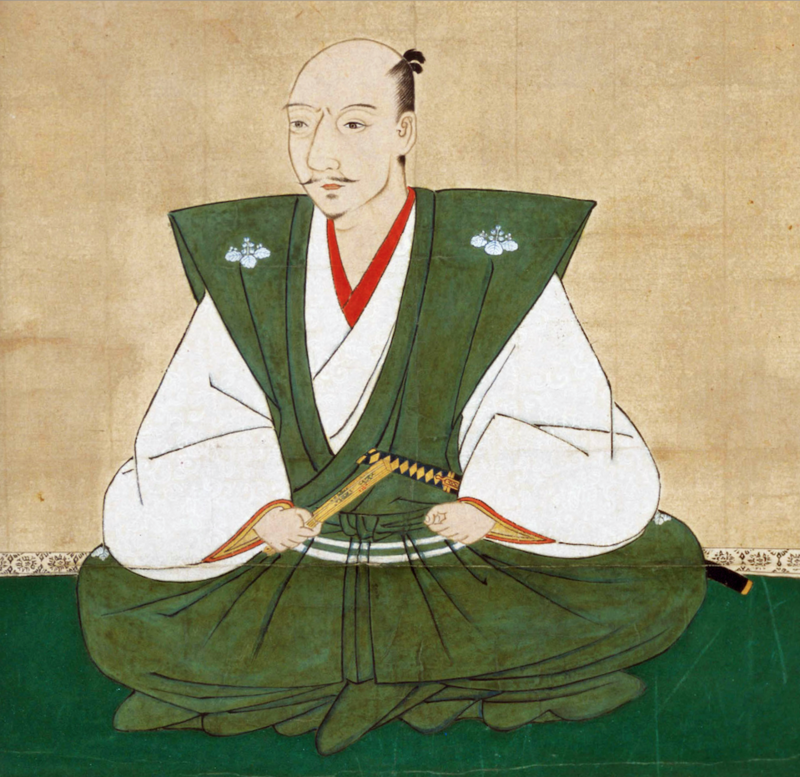 Infuriated by his insolence, Nobunaga attacked Echizen, taking Kanagasaki(Kanegasaki) Castle and began to lay siege to Asakura’s main castle at Ichijodani before discovering a plot hatched by his brother in law. Nagamasa had sealed an alliance with Asakura against Nobunaga! Departing from Odani Castle, the Azai moved to the northern end of Lake Biwa in an attempt to cut Nobunaga off from returning to Gifu. Realising the situation, the Oda troops beat a hasty retreat to Kyoto where they re-organised before launching a revenge assault. Just south of the river lay another Azai held castle, the fortress of Yokoyama. A contingent of Oda forces was ordered to lay siege to Yokoyama, while the bulk of the troops stationed themselves on the southern banks of the Ane River. Days later, Ieyasu arrived with another 5,000 samurai to face off against the Asakura and Azai armies on the opposite side of the river. The battle began in the early light of July 30, about 4am. As the sun rose, both the midsummer’s day and the battle heated up! The battle saw vicious hand-to-hand fighting take place in and around the river. 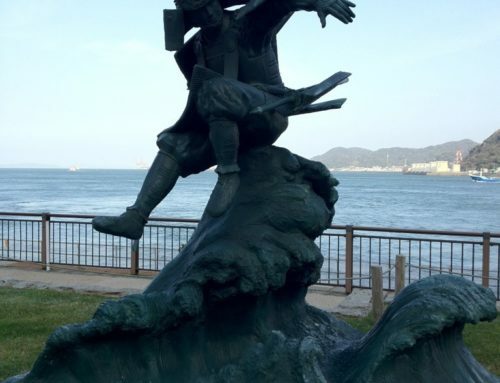 Unfortunately the only reliable sources detailing the battle are the Shincho koki, being the Chronicle of Oda Nobunaga and the Mikawa Fudo-ki, diaries of the Mikawa that remain in existence. However from these books, we know that The Anagawa flowed between the Oda and the Azai, while a short distance downstream, the Tokugawa’s 5,000 troops battled the Asakura. It was as though two battles were taking place simultaneously, and only a few hundred meters apart. The western battle saw vicious hand-to-hand fighting take place in and around the river. The front line shifted continuously with the Tokugawa forces pushing forward before being repelled time and again. 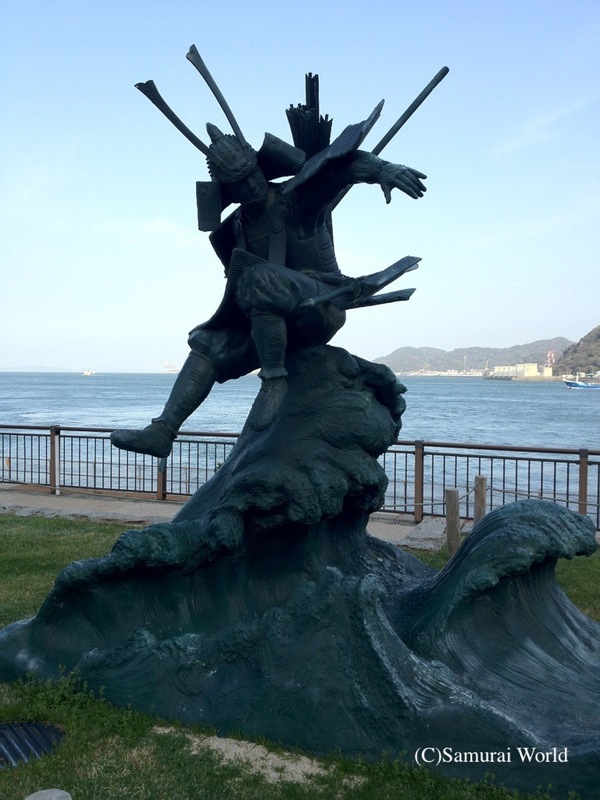 Eventually, Ieyasu’s right hand man, Honda Tadakatsu made a successful flank attack, forcing the Asakura to retreat. 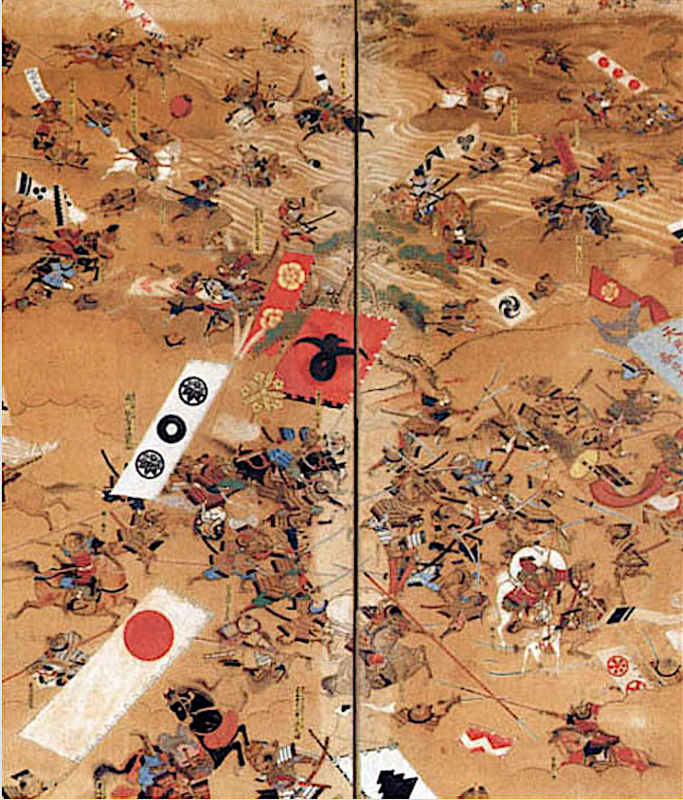 The Tokugawa forces claimed some 1,100 enemy heads in the battle. With the Asakura defeated, the Tokugawa samurai came to the aid of the Oda. 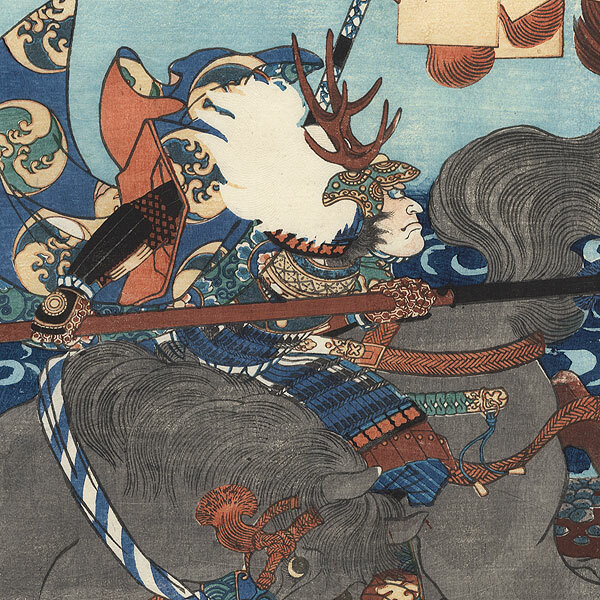 Nobunaga had some 500 matchlock gunners on the field that day and had forsaken wearing armor, and instead took to the field in a yukata, a light summer kimono with a black haori jacket over that, and topped off with a lightweight jingasa helmet. 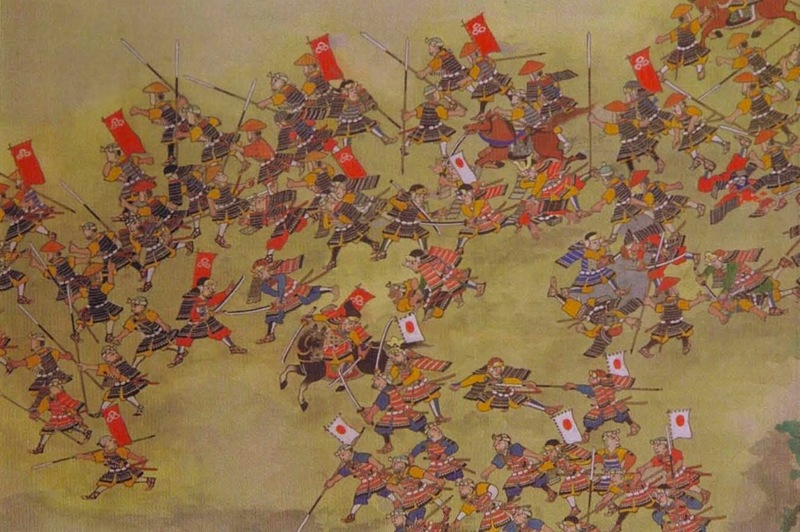 His men were taking a beating until the Tokugawa forces came to their assistance crushing the Azai’s right flank as the reservist forces of Inaba Ittetsu moved forward and attacked their left. The Azai too were soon routed, and Nobunaga claimed victory, however the Battle of Anegawa didn’t end there. 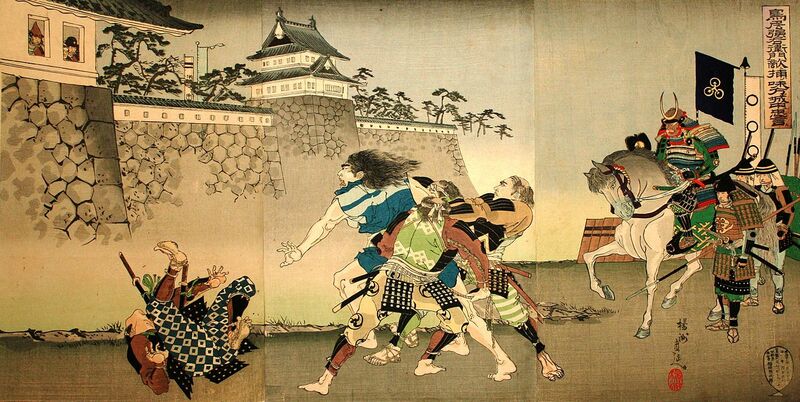 The Azai and the Asakura remained a concern until 1573, when Nobunaga returned to Anegawa and surrounded Odani Castle. The Aasakura did not come to their aid, having been defeated some time earlier at Ichijodani, and so surrounded, Nagamasa capitulated. 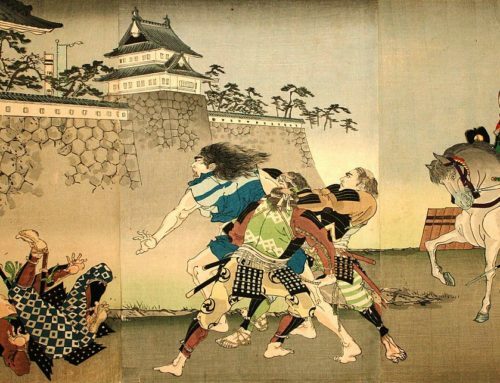 He sent his wife and children away from the castle and back to her brother, Oda Nobunaga, and setting the fortress on fire, cut himself open in the manner of the Samurai. According to one source, once the procession to Kyoto was clear of the castle, Oichi and her three daughters alighted from their palanquins, and watching the burning castle made their obeisance before continuing on. 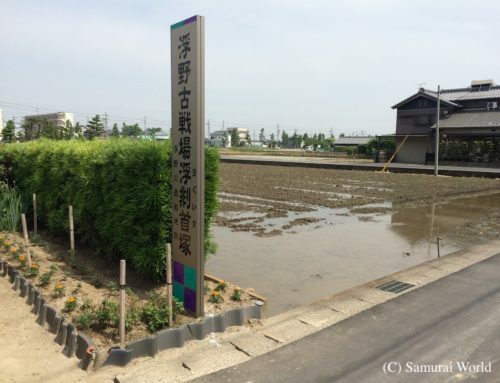 Today the battlefields of Anegawa are a little different from Nobunaga’s days, as the river has changed course over the years. A monument stands on the north bank where the Azai and Asakura command posts once stood. The Odani and Yokoyama castle sites nearby are worth visiting too.